TPL8 saw the addition of two new teams Tokio and Lotus FC. The first match started with Tokio FC mounting a guard of honour for the reigning champions, the Raineri Ghost FC, who came from behind to win their game. 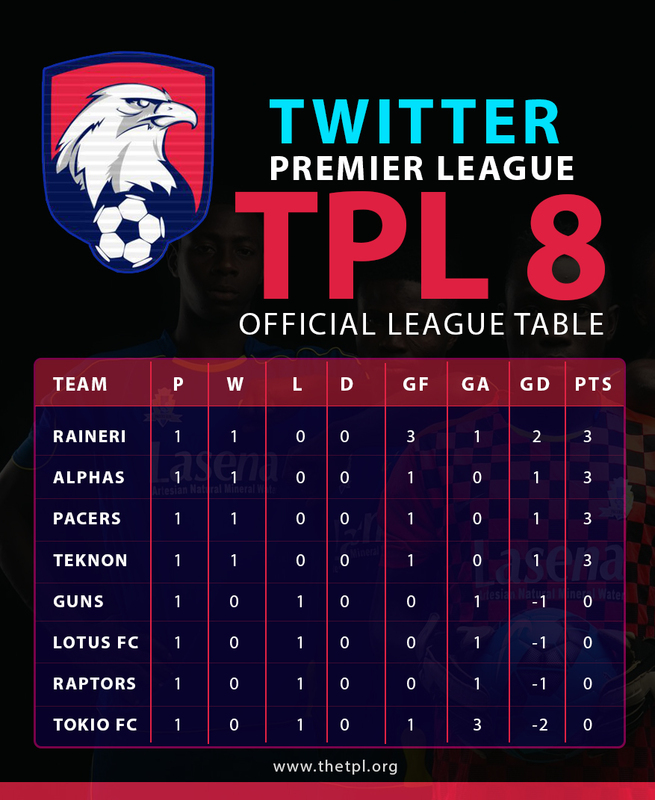 Elsewhere, there was a routine win for Pacers and Teknon, while Alphas banished the ghosts of TPL7 by emerging victorious at the first time of asking in TPL8. Still reveling in their TPL7 exploits, the defending champions were stunned by a freekick goal from Kola (Tokio) but rallied to draw level via Audrey before half time. The comeback was completed in the second half by TPL7 final hero, Benzema, a second half substitute with a goal that was chalked up as a major contender for goal of the season. The game was put beyond reach when Benzema left two defenders for dead and rifled an unstoppable shot into the top corner for his second goal and Raineri’s third. The champions began their title defence with a win and extended their record for most wins in a row which now stands at five (5). The Alphas were finally able to put their dismal TPL7 performance behind them with a hard-earned win over new boys Lotus, who were unable to find a way past the Alphas defence despite controlling the game for larger portions. It was the first Alphas win in 9 matches at the TPL, while also receiving their first ever yellow card in 10 games at the TPL. 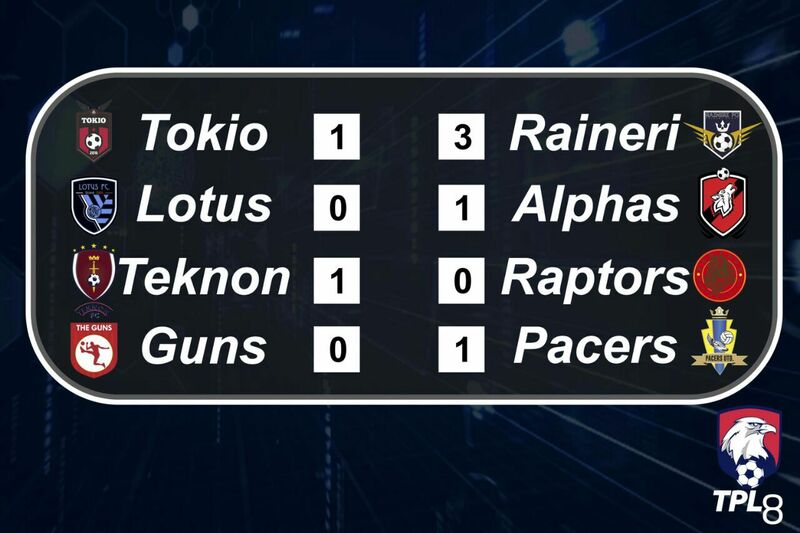 Teknon continued in their tradition of not losing their opening game of the season with a well-deserved win over Raptors in a match that was filled with harsh tackles. Teknon got the lead via Isaac while Raptors will feel undone by a penalty appeal that was waived away by the officials. This was another routine win for a Pacers team who were not at their best throughout the game. The Guns were unable break the jinx of beating the Pacers in their last four (4) meetings with them. 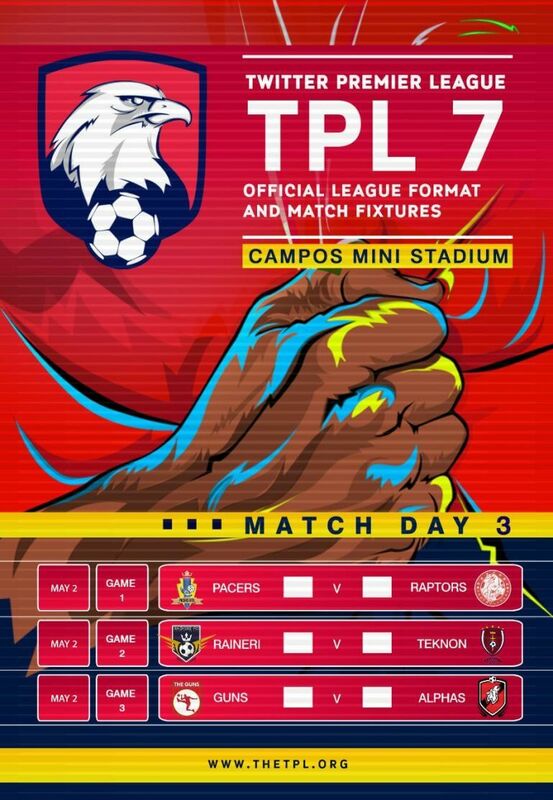 The TPL6 champions gave a glimpse of their exciting football, but found themselves restricted to their own half in the second period of the game by a resurgent Guns who were unable to find the net after going a goal down via Diego in the first half. 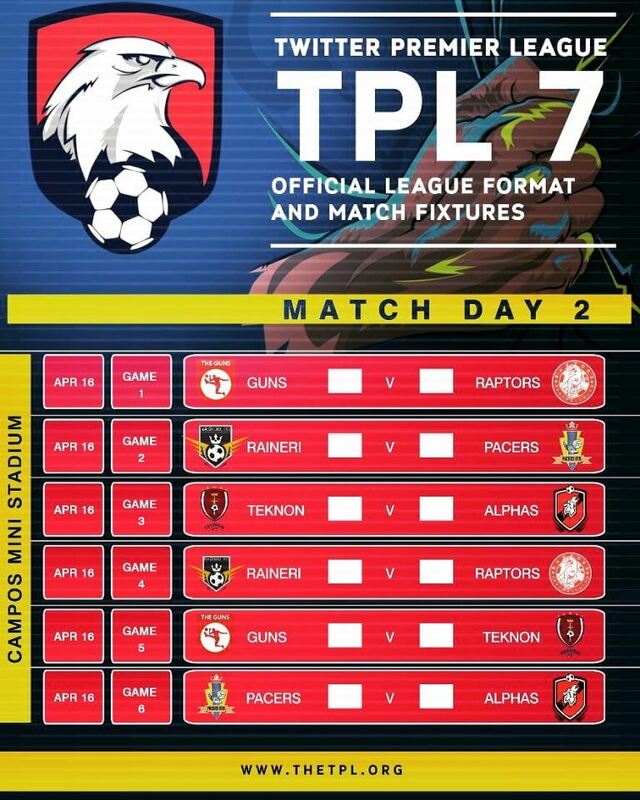 LOOK OUT for TPL Match Day 2 on the 24th of September at Campos Mini Stadium 12 noon.